We are hearing customer’s complaint of iSeries performance, especially those who are running their core application at the P5 or P10 series, because of certain applications have been eating up the interactive CPW of the black box. iSeries tools are developed today with emphasize at zero or minimal footprint where the object is primarily to take up less interactive CPW without jeopardizing the applications’ performance. Extreme measure has to be taking place whenever the end-users keeps complaining of the iSeries slow response time. Upgrading to a higher processor model of iSeries seems to be the logical move. However an alternate measure has to be in place if budget is a big concern to get a new box. MAX400 is a very small software utility (50K zipped) that tunes and maximizes interactive performance of your AS/400 or iSeries server system in 5 minutes. 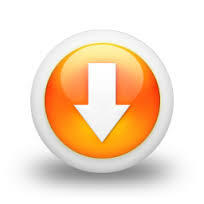 It automatically tunes interactive jobs on your system to minimize the interactive CPW resources required. With MAX400, you get the maximum interactive CPW from your system whenever you need it without having to install additional interactive features to cater for peaks in your interactive workload. MAX400 is better than Fast400: Fast400 was not as effective in increasing interactive performance as MAX400…….Why do we say this? The reason is there is more than one interactive governor inside the operating system. Fast400 only dealt with CFINT which meant that it didn’t fully speed up the interactive jobs, i.e. the jobs ran a bit faster but still got less than 100% Interactive CPW. MAX400 manages all interactive governors, carefully and efficiently allowing interactive jobs to get the same CPU as a batch job. On server-class systems, interactive workload is usually constrained to a value much less than what the machine is capable of managing. Allows you to get the best from your system whenever you need it without having to install additional interactive CPW features to cater for peaks in your interactive CPW workload. What versions of the AS/400 OS will MAX400 run with? 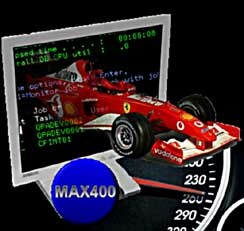 MAX400 supports the following OS/400 versions: V4R1, V4R2, V4R3, V4R4, V5R5, V5R1, V5R2, V5R3 and V5R4.